It's going to be a long spring and summer for EA Sports, which thanks to cutbacks and cancellations has two titles between now and August, when Madden NFL Whatever Number Comes After 25 releases. That's a World Cup edition for FIFA, and EA Sports UFC. Neither game has a release date yet. 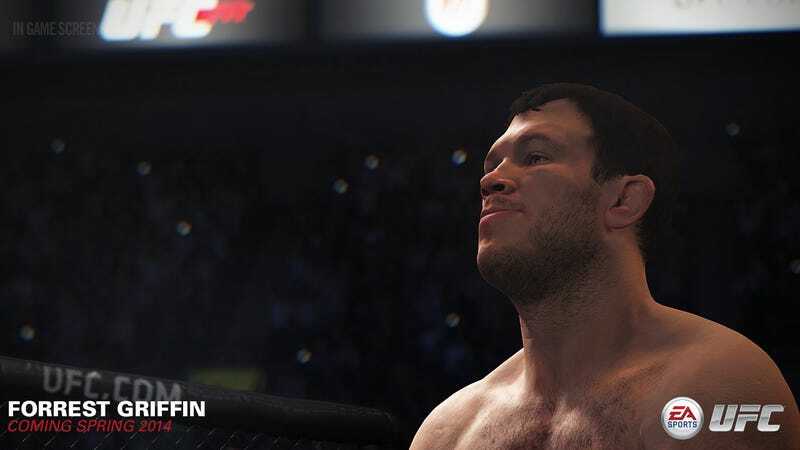 EA Sports UFC still dropped another eight screenshots this week. We'll probably find out when exactly it will hit shelves once Electronic Arts has its end-of-quarter conference call with investors in February. Its golf game is taking this year off, and NCAA Football, ordinarily a July release, is gone perhaps forever. The UFC team—the same folks who brought us Fight Night Champion three years ago— still are plugging away, though.